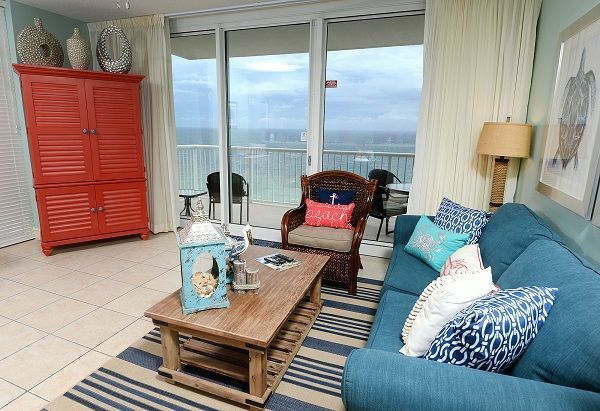 Gulf Front 1 bedroom 1 Bath Luxury throughout. The room was fine. Didn&#x2019;t like the location. Very congested and lots of construction. We were on the 21st floor and often had to wait for the elevator for 30 minutes or more. Once you got on the elevator, there is no air and you had to stop at every floor on the way down. Not all that pleasant. The parking garage is across the street so it is a hike to get to your car carrying all of your belongings. I won&#x2019;t stay there again. Or if you decide to, make sure you are on a low floor. We walked down 21 flights of stairs cause the elevator was soooo slow! Good place to stay. Only thing I didn’t like was the parking garage. But for a week stay it’s tolerable. Also had an issue with our ac when we got there. I think the cleaning crew messed up thermostat, but we were able to sort it out and get it fixed the same day. Pools and Beach were great. Decor in condo was good. Also property and condo were clean.